Deputy Minister of Industry and Trade of Tatarstan Timur Samatov took part today in the meeting of the Board of Trustees of the German-Russian Institute of New Technologies (GRINT). Created in 2014 on the basis of the KNRTU-KAI, the GRINT is working in a consortium with German partner universities and with the organisational and financial support from the German Academic Exchange Service (DAAD). In his welcoming speech, Timur Samatov noted that the German-Russian Institute of New Technologies under KNRTU-KAI is a combination of traditions and innovations in the field of engineering education and is a successful example of transnational education. More than a hundred of graduates are employed at the republic’s enterprises and apply advanced expertise in their production processes. 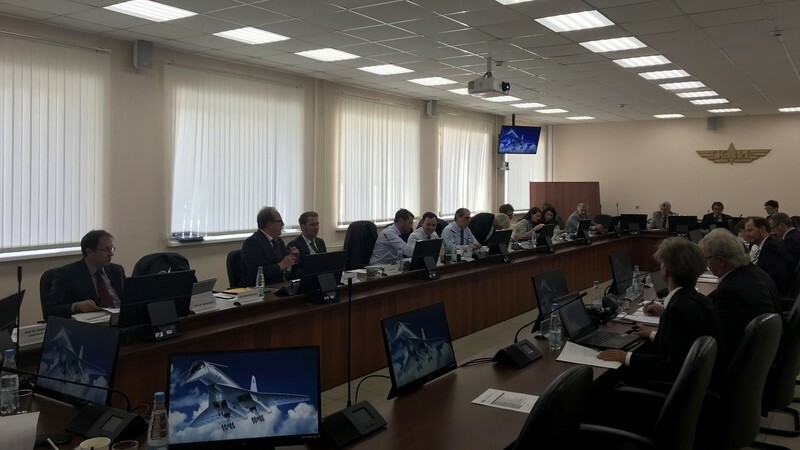 In particular, the Council meeting discussed the issues of GRINT’s strategic development, new master's programmes, cooperation with Siemens, and the results of the first summer school. In conclusion, a diploma graduation ceremony took place in the KNRTU-KAI for the 2018 GRINT graduates, as well as the award ceremony for the Best GRINT Teacher, the Best Foreign GRNIT Teacher and the Best 2018 GRINT Graduate.